In the educational studies of every scientist, there are a few individual names that seem to emerge from course to course. But above those of Newton, Galileo, or Einstein, there is one name that probably surpasses them all as the first to appear—once children master the four basic arithmetic operations, their approach to logic begins with set theory and its Venn diagrams. But these are but one particular case of those invented by a mathematician whose name designates constants, functions, equations, laws, theorems, and almost any other type of mathematical entity: Euler. The Swiss Leonhard Euler (15 April 1707 – 18 September 1783) was one of the greatest intellectual supermen in the history of mankind. The numbers serve to demonstrate his incredible mental superpowers—over his 76 years of life he published more than 800 works, totalling some 30,000 pages. It has been estimated that almost a third of all the science and mathematics written in the eighteenth century bears his signature. After his death, his obituary required 56 pages to list all his publications. But even the numbers fall short in describing a prodigious mind whose talent manifested itself in some anecdotes. Perhaps the best known is that he was able to recite Virgil’s Aeneid from beginning to end, detailing in what line every page of the edition he owned began and ended. Memory was not the only ability in which his brain seemed to anticipate our current machines—his computing power was also superhuman. He spent the last 17 years of his life almost totally blind, due to a cataract in his left eye and a degenerative lesion in the right one, whose origin varies according to the versions. But if this disease affected his output, it was only to increase it; “in this way I will have fewer distractions,” he once said. At one stage he was writing an average of one work a week and joked about his enormous production, claiming that his pencil outperformed him in intelligence. 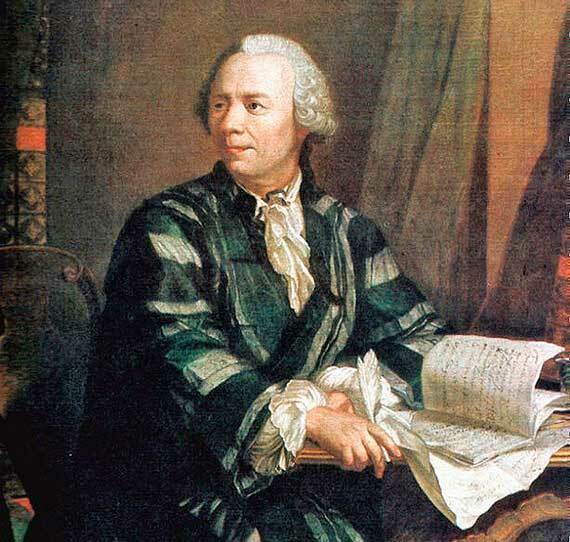 Like a Beethoven unable to hear his music, Euler could hardly see his calculations, but in his head he counted tables of lunar movements with such clarity that an apprentice tailor could serve as a secretary without the need for mathematical training. Curiously, that genius might have been lost to mathematics if Euler had followed in the footsteps of his father to serve as pastor of the Reformed Church, as planned. The advice of the mathematician Johann Bernoulli, a friend of the family, was key in directing Euler’s footsteps definitively towards mathematics and science. Precocious in his studies and in his career, he soon began to stand out, which led him to travel to occupy prestigious positions in the Academies of Saint Petersburg and Berlin. The most prolific mathematician in history was not only the main founder of what we now know as classical mathematics, exploring a wide variety of fields and introducing much of the notation used today, but he also explored other disciplines such as astronomy, optics, engineering, magnetism, ballistics, navigation, shipbuilding, philosophy and music. It is said that his musical theory did not triumph because it was too advanced in mathematical computations for musicians, and too musical for mathematicians. Euler was also endowed with a gift for dissemination, without having dedicated himself professionally to teaching. Proof of this is the publication that was a best seller in its time—Letters to a German Princess, On Different Subjects in Physics and of Philosophy, a work in three volumes that began to be published in 1768 and that collects the letters written by Euler to his pupil, Friederike Charlotte of Brandenburg-Schwedt, princess of Anhalt-Dessau and niece of the King of Prussia Federico the Great. 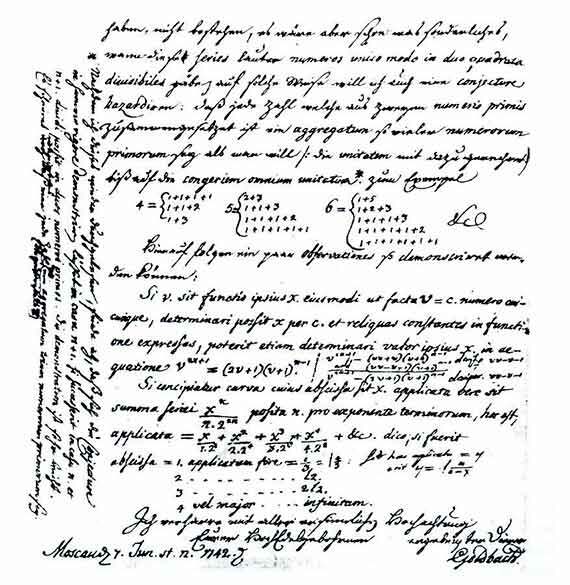 In fact, Euler’s correspondence is also a treasure trove—the famous Goldbach Conjecture, one of the oldest yet unsolved mathematical problems, first appeared in 1742 in a letter addressed to Euler by the German mathematician Christian Goldbach, his friend since they met each other at the St. Petersburg Academy.